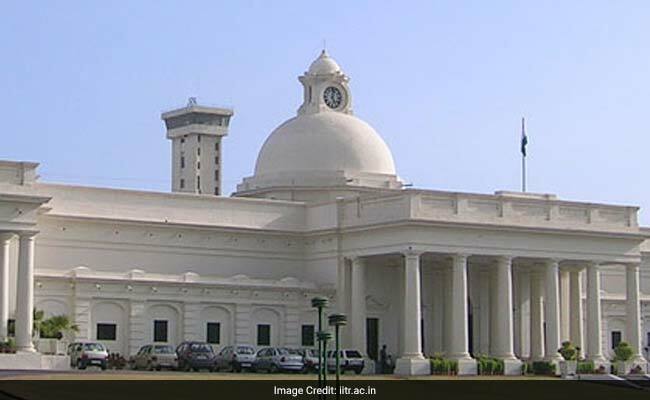 Indian Institute of Technology (IIT) Roorkee researchers have identified a new immunomodulatory function of a protein that could potentially help in treating sepsis and other inflammatory diseases caused by abnormal functions of immune cells. "Abnormal functions of immune cells are associated with many pathological conditions such as severe sepsis (blood infection) and other inflammatory diseases. During sepsis, an uncontrolled infection leads to abnormal activation and localization of important immune cells such as neutrophils and macrophages," Dr. Pranita P Sarangi, Assistant Professor, Department of Biotechnology, IIT Roorkee, who is also the lead researcher, said while elaborating the importance of this work. This work titled "Cell adhesion protein Fibulin-7 and its C-terminal fragment negatively regulate monocyte and macrophage migration and functions in vitro and in vivo", was recently published in the official journal of the Federation of American Societies for Experimental Biology (FASEB journal) and was also presented at the international conferences organized by Indian Immunology Society (Immunocon-2017) and American Association of Immunologists (Immunology 2017). A dysfunctional immune response leads to deposition of such cells in visceral organs such as lung, kidney and liver causing multi-organ failure and death. Sometimes, according to a statement from IIT Roorkee, use of antibiotics against infections could even aggravate the condition by releasing broken components of bacteria into the blood which further activates our immune cells. "In an animal model of sepsis, both the full length Fbln7 (Fbln7-FL) protein and its C-terminal fragment (Fbln7C) inhibited macrophage and neutrophil infiltration to the inflamed tissues and organs such as peritoneal cavity and lungs. This data demonstrates that Fbln7 and its bioactive fragments or shorter peptides may have therapeutic potential for treating immuno-pathological conditions, which require negative regulation of immune cell functions. Currently, further research is going on this aspect in our laboratory," the statement said. Dr. Sarangi said, "Our immune system consists of varieties of white blood cells (WBCs) or leukocytes. In response to any inflammatory and infectious stimulus, leukocytes travelling in the blood vessels immediately respond by migrating to the affected site. "While exiting the blood vessel and further travelling through the tissue spaces, activated WBCs interact with extracellular matrix proteins such as collagen, fibronectin etc. The Immune cells bind to such proteins via their surface receptor molecules called as integrins. "These cell matrix communication through integrin receptors not only provide support for migration but also modulate various functions of the immune cells. Recently, therapeutics targeting integrins and associated molecules have been approved for clinical trials in many diseases such as cancers (e.g. RGD peptide)." The research team consisted of Dr. Sarangi, Dr. Kiran Ambatipudi, Ms. Papiya Chakraborty and Mr. Shiba Prasad Dash from the Department of Biotechnology, IIT Roorkee, while Dr. Yoshihiko Yamada's team from National Institutes of Health, USA. This research work was funded by faculty Initiation grant from IIT Roorkee and young scientist research grant from the Department of Science and Technology, Government of India to Dr. Sarangi, while Dr. Yamada was funded through intramural grant from National Institutes of Health, USA.